The National Ocean Service's Center for Operational Oceanographic Products and Services (CO-OPS) provides tide coordination for hydrographic and shoreline mapping survey operations conducted by the Office of Coast Survey (OCS) and the National Geodetic Survey (NGS). CO-OPS' Hydrographic Planning Team (HPT) coordinates the operational hydrographic and shoreline mapping survey support activities conducted by CO-OPS. 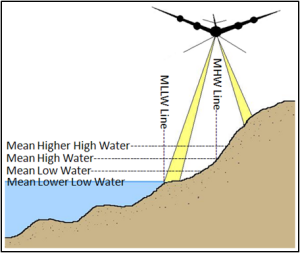 Following assessment of requirements for water level data acquisition and datum determination, HPT provides input for hydrographic and shoreline mapping survey project instructions to ensure vertical control in accordance with National Ocean Service standards. Consultation is provided to OCS' Hydrographic Surveys Division (HSD) and Navigation Services Division (NSD) and NGS' Remote Sensing Division (RSD) for both in-house and contract surveys. 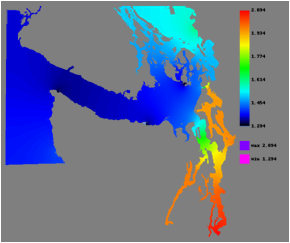 The two major tide reduction methodologies that HPT uses are Tidal Constituent and Residual Interpolation (TCARI) and Discrete Tidal Zoning. Aerial photography is taken at mean high water and mean lower low water for boundary determination and shoreline mapping. Hydrographic surveys are conducted primarily with side scan and multibeam SONAR. SONAR (Sound Navigation and Ranging) uses sound waves to find and identify objects in the water and to determine water depth. 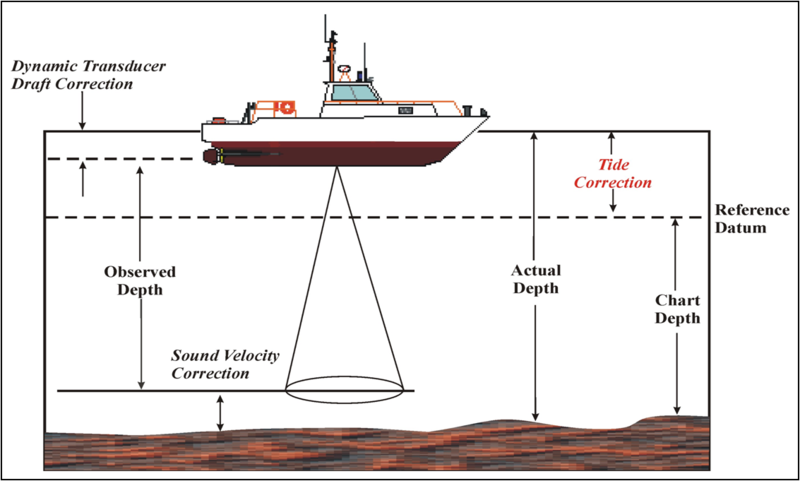 Most survey vessels are equipped with side scan and multibeam sonar systems; while other vessels use single beam echo sounders. Some contractors employ LIDAR, which uses light to determine objects in the water and water depth. Discrete tidal zoning defines geographic areas of similar tidal characteristics using polygons (or discrete zones). Tidal correctors apply uniformly throughout their assigned zones. Co-tidal lines, based on computed datums and intervals of tide, are used to determine the discrete zones. Finalized discrete zones extrapolate a tide curve relative to specified tidal datums at a survey location by applying a time and range corrector to the observed tide curve from the appropriate nearby water level station. 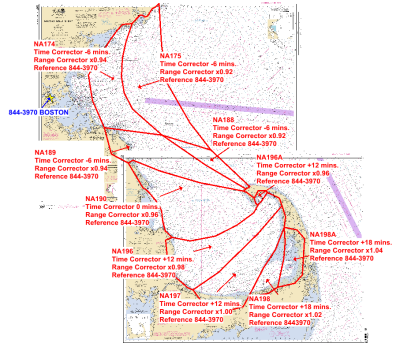 Preliminary tidal zoning identifies appropriate control stations with which to apply correctors for planning purposes. 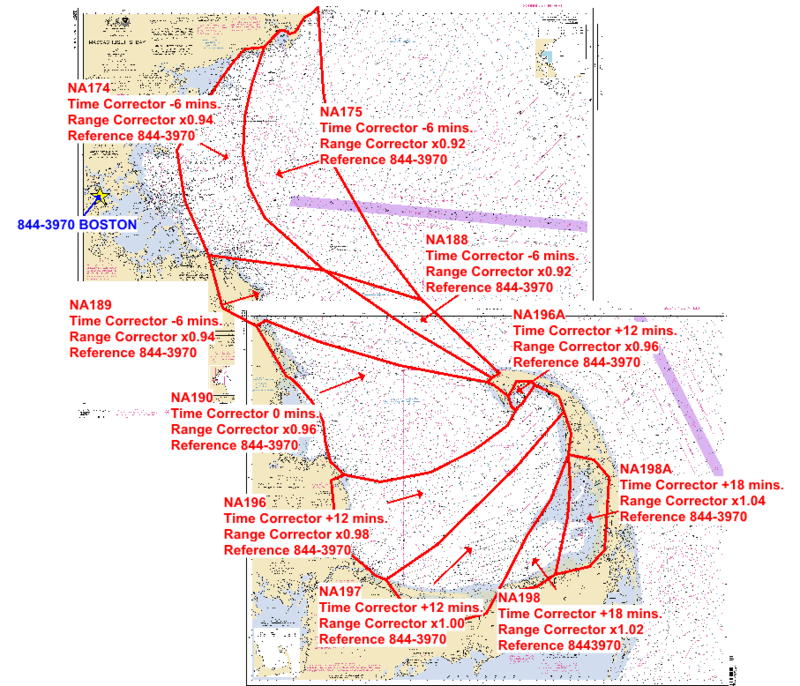 Preliminary tidal correctors can be applied to NOAA predictions or preliminary data at those control stations. Final tidal zoning correctors are applied to the verified water level data collected during survey operations at appropriate subordinate and/or control stations as specified in the project instructions. TCARI is a method of computing water level correctors to reference hydrographic sounding to Chart Datum (MLLW) or other tidal datums using observed water level data. TCARI offers a procedure of "continuous" tidal zoning which improves upon discrete tidal zoning. Additionally, TCARI can produce an interpolated water level value for any sounding time and position within a survey area using a local network of operating and historical water level stations. Click here for more information on TCARI. 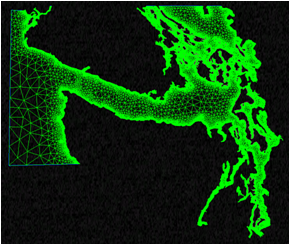 Datum interpolation across the survey area in the Straits of Juan de Fuca and Puget Sound. CO-OPS is in the preliminary phases of creating web-based access to discrete tidal zoning which use National Water Level Observation Network (NWLON) stations for control. For questions regarding tide reduction, please contact nos.coops.hpt@noaa.gov.